Halifax Nova Scotia is a city that is steeped in history, culture and in my opinion food. Halifax is certainly a food town, a place you can explore and enjoy many cultural culinary delights. I first visited Nova Scotia about 17-18 years ago, my brother in law and then girlfriend were both studying at Dalhousie University. We went to an Italian Restaurant (can’t remember the name of it and it has since closed). It was my first experience dining in Halifax and yes, I was hooked. Every chance I get to visit I research the many restaurants and have to admit I do have quite a few on my bucket list. I did have an opportunity to cross off one establishment from the list, Chives Canadian Bistro on Barrington, this place did not disappoint. Chives is my kind of restaurant, not too large, candles, stained glass, local art, weathered wood an interesting vault for 2 or 3 to dine in (which I want to reserve at some point) and of course an inviting and knowledgeable server. We had a nice bottle of Chardonnay to start us off, the bread for the table came in a paper bag and kept the bread warm, fragrant and delicious. 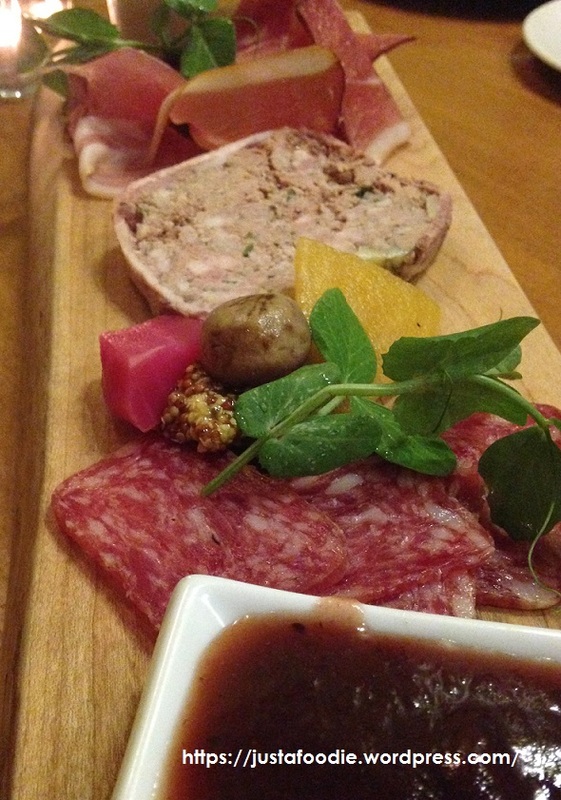 I ordered the charcuterie, the flavors were a delight for the taste buds, the meats, pickles and paté was a conversation piece as we sampled. 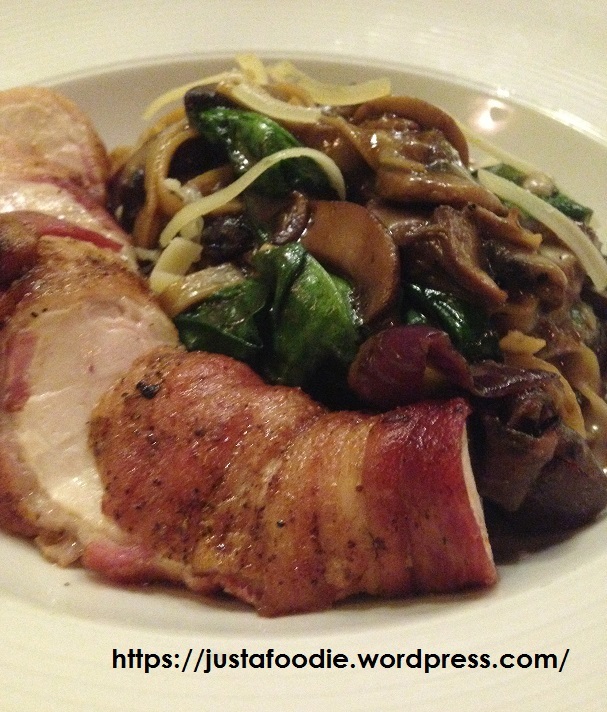 For my main I had the bacon wrapped chicken breast with a mushroom pasta. The chicken was nice and moist, the bacon was rendered to perfection and simply hugged the chicken. My pasta was delicious, I could have just eaten the pasta (but loved the chicken!). Chives seemed inviting and charming, a place to spend a relaxing evening or celebrate a special occasion. See you soon at Chives Halifax!!!!!! !